APR UK is proud to announce two new authorized distributors in Scotland: Autohaus Edinburgh and EcoTune in Glasgow. Each distributor was chosen after APR UK received overwhelmingly positive feedback from their local market and loyal customers. Their level of expertise, dedicated work ethic, quality facilities and passionate attention to customer service APR holds above others and we couldn’t be more proud for them to wear the APR name. 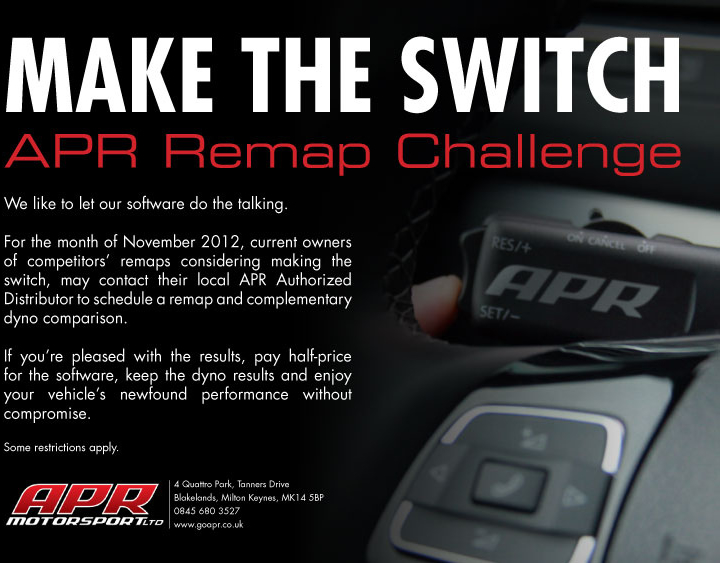 Presenting the APR Remap challenge! Visit www.goapr.co.uk/dealer to locate your nearest APR distributor and get your remap booked TODAY! 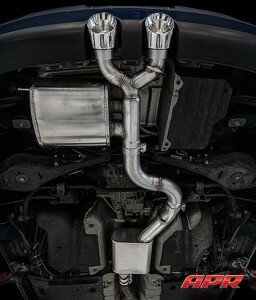 APR is pleased to announce our 3 Inch RSC Performance Catback Exhaust System for the Golf MK5 R32. Please visit our product page for photos, videos and more information! You are currently browsing the APR_UK_news blog archives for November, 2012.